Using our unique personal experience, we carefully select you suitable accommodation tailored to your needs. We personally visit and carefully choose accommodation in desirable areas with friendly and welcoming Hosts. All our accommodation is located with good transport connections and our Hosts will provide personal in depth advice about their local amenities. Our Hosts will provide a warm and welcoming living environment, so you can feel right at home. We are a bespoke booking service, offering accommodation with one of our registered Hosts that is handpicked for you based on your personal preferences. When you are travelling for work it can be hard to find somewhere comfortable and convenient to stay at a price to suit your pocket, and returning to an empty hotel room at the end of a stressful day isn’t always ideal. We do the hard work for you, from personally visiting every one of our Hosts to ensure their suitability, to carefully choosing the right accommodation option for you based on your individual requirements. If you get in touch, we will find you a welcoming place to stay in one of our homestays, bedsits or self-contained flats. Whether you’re just staying for the night or looking for a home for many months, we offer a diverse range of accommodation and will find just what you’re looking for. At the heart of our company are our team of Hosts, whose beautiful homes and warm hospitality are what make staying with us so special. Our accommodation is carefully chosen and personally visited by our team of bookers who develop valuable longstanding relationships with our Hosts. 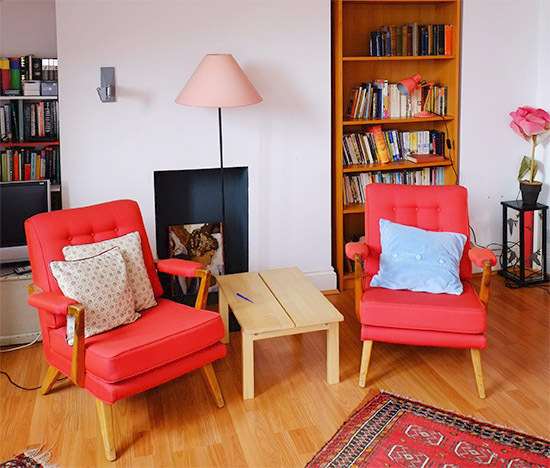 We can provide you with a homestay room in a family home, a bedsit arrangement with a private kitchenette, or a fully equipped flat where you can be completely independent. The choice is yours, and we will be completely transparent about exactly what facilities each accommodation option includes. Whether you want full or light access to a kitchen, a private or shared bathroom, a pet-free home or maybe access to a garden; these are all preferences that we can take into account to find just the right accommodation for you.